MANILA, Philippines – The 'Unkabogable Star' and comedian Vice Ganda announced the huge success of his Metro Manila Film Festival (MMFF) 2018 official entry "Fantastica: The Princess, The Prince and The Perya" at the box office. In a Twitter post on December 30, Vice Ganda shared that the film has now reached a whopping Php300 million of earnings since it premiered on Christmas Day. Vice also thanked his fans of his co-stars Richard Gutierrez and Dingdong Dantes and the loveteams of Maymay Entrata and Edward Barber (MayWard), Loisa Andalio and Ronnie Alonte (LoiNie), and Donny Pangilinan and Kisses Delavin (DonKiss) for their support on the leading fantasy comedy flick. Shout out to all My Little Ponies and the fans of Chard, Dong, MayWard, Loinie, Donkiss who organized so many block screenings for #Fantastica !!!! I appreciate it! Fantastic kayo!!! Love you guys!!! On its second day, the no. 1 movie in the 2018 MMFF raked in a total of Php100 million. Can Vice break his own box-office record? 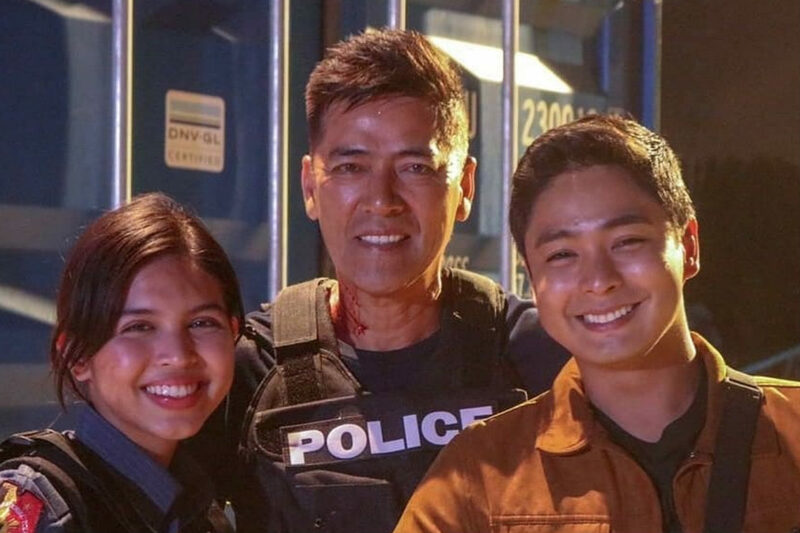 MMFF 2018 Spokesperson Noel Ferrer on December 26 revealed that Coco Martin, Vic Sotto and Maine Mendoza's “Jack Em Popoy: The Puliscredibles" ranked second at the box office. Horror-drama film 'Aurora' was on third spot. Other official entries to this year's MMFF, aiming to win hearts of moviegoers are: Jericho Rosales and Jessy Mendiola's "The Girl in the Orange Dress", Toni and Alex Gonzaga and Sam Milby's "Mary, Marry Me", Ricci Rivero and Jerome Ponce's "Otlum", Eddie Garcia and Tony Mabesa's "Rainbow’s Sunset" and Dennis Trillo, Kim Chiu and JC De Vera's "One Great Love." The 2018 MMFF will run until January 7, 2019 in more than 100 cinemas nationwide. MANILA, Philippines - Two persons were killed while at least 30 we hurt when an improvised explosive device (IED) exploded at a mall in Cotabato City Monday afternoon, December 31 or a day before the New Year. A CCTV footage of Cotabato blast occured Monday afternoon was released online. Reports said that the explosion happened at 1:59 p.m at the entrance of the South Seas mall along Magallanes street in Barangay Poblacion 5, near stalls selling firecrackers. Police said that IED, made from nails and gunpowder, was wrapped in a box. “Initial investigation revealed that one unidentified male person immediately dropped a wrapped box which a few seconds... exploded," the police report stated. In a statement shared on Facebook, Cotabato City Mayor Atty. Frances Cynthia Guiani-Sayadi's condemned the gruesome bombing that happened today and took a stand against terrorism. "I strongly condemn the bombing incident that happened in front of South Seas Mall today, a day before the New Year, the took away several innocent lives and injured dozen others. This is not just another terroristic act but an act against humanity. I cannot fathom how such evil exists in this time of merry making of our fellow Cotabatenios. It is unimaginable how some people can start the New Year with an act of cruelty but no matter how you threaten us, the people of Cotabato City are resilient and we are stronger than how you think we are. We will stand up against terrorism. We will fight against evil." MANILA, Philippines - Vic Sotto’s Metro Manila Film Festival (MMFF) 2018 offering, “Jack Em Popoy: The Puliscredibles” brings together his brand of comedy from Eat Bulaga! and Coco Martin’s knack for action as seen in “Ang Probinsyano” for a flick reminiscent of ‘90s action-blockbuster movies. Directed by Mike Tuviera, the movie stars Sotto as Perfecto “Popoy” Fernandez, a senior police officer that feels stuck in his career and Martin as Jacinto “Jack” Halimuyac, his brand new partner, together, they attempt to bring down crime and drug lord, Antonio Montenegro (Rolando Valdez). 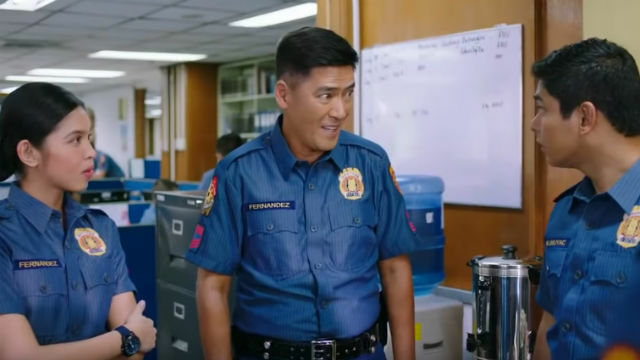 As they dive deep into their latest mission, they discover a link from their respective pasts that connects the both of them, as well as Popoy’s adopted daughter, Maine Mendoza’s Emily “Em” Fernandez who’s also a cop. For such a mesh of different personalities, “Jack Em Popoy” was surprisingly able to come up with a cohesive narrative with pockets of pure fun and entertainment that the whole family can enjoy. The movie will definitely tickle fans of ‘90s action-comedy’s fancy as it maintains a tone that is similar to those feel-good thrillers. Performances are decent - even for supporting actors. 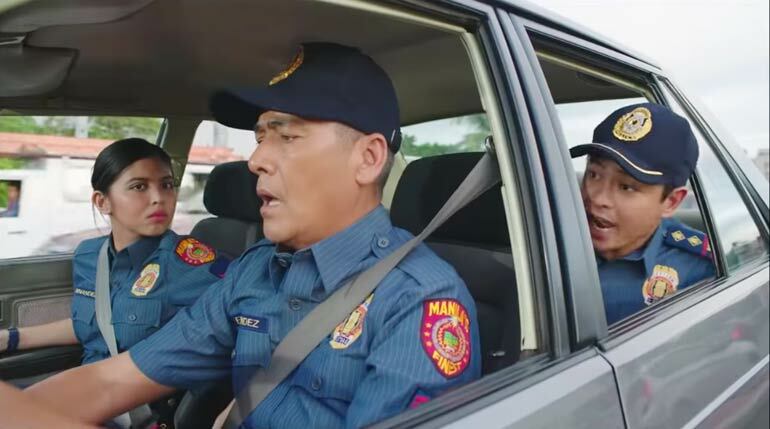 There’s a lot of moving pieces in “Jack Em Popoy,” and oftentimes, it’s inching dangerously close to being convoluted. But with a pretty much tried-and-tested narrative, it’s still able to give viewers a sense of familiarity - as if they’re part of the heist and not just mere bystanders. Perhaps it’s because we’re used to seeing Sotto, Martin and even Mendoza on TV every day that it’s quite easy to get behind them. For those who constantly watch either And Probinsyano or Eat Bulaga!, chances are the fact that the two unusual worlds colliding in “Jack Em Popoy” as one of the main reasons to catch the flick. All the usual suspects are in the movie, unfortunately, it’s also the movie’s biggest waterloo. Considering that star power that the film boasts - each lead actor has their own massive following, it felt like a double-edged sword as the film doesn’t offer anything new other than what Sotto, Mendoza and Martin do on the daily. Simply put, the only novelty in “Jack Em Popoy” is seeing stars from rivalring networks come together for a fun flick. Overall, “Jack Em Popoy: The Puliscredibles” delivers exactly what it’s set out to do - no more and no less. While it would’ve been made all the difference if the story isn’t a retreaded one (perhaps with little tweaks that would’ve updated it), it’s still an entertaining time at the cinema. It’s also worth noting that the top two box office earners this year features melding of two worlds with ABS-CBN artists working with GMA stars, the other one being “Fantastica”. The mix and match of stars opens up fresh tandems on the big screen - a welcome change from seeing the same stars working repeatedly with each other. MANILA, Philippines – The country will experience improved or fair weather today, December 31, 2018 until New Year as the low pressure area (LPA), formerly 'Bagyong Usman' is outside the Philippine Area of Responsibility (PAR), state weather bureau PAGASA announced in its 4:00 am update on Monday. However, the through of tropical depression will bring cloudy skies with scattered rainshowers and thunderstorms over Palawan. The TD will also enhance the Northeast Monsoon (amihan) over Luzon, bringing cloudy skies with light rains over Cagayan Valley, Cordillera Administrative Region, and the provinces of Aurora and Quezon. The rest of Luzon including Metro Manila will have an improved weather apart from isolated light rains while Visayas and Mindanao will experience partly cloudy to cloudy skies with localized thunderstorms. On New Year’s Day, January 1, Cagayan Valley and Cordillera will remain cloudy with light rains due to the Northeast Monsoon. The rest of the country will have fair weather conditions except for some isolated rainshowers. DOST-PAGASA weather specialist Ariel Rojas announced that 0 or 1 tropical cyclone is expected to enter PAR in January 2019. The average number of tropical cyclones per year is only 20. For more details, you may contact PAGASA Weather Division at telephone number (632) 927-2877 or log on to bagong.pagasa.dost.gov.ph. 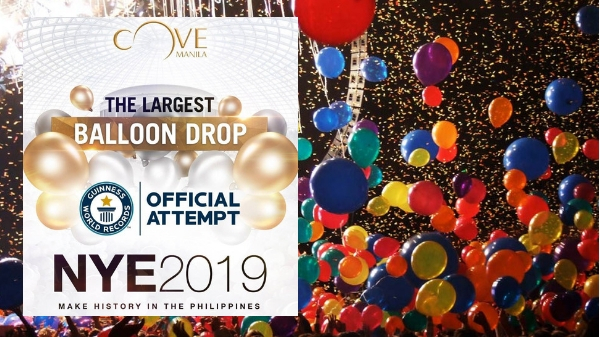 MANILA, Philippines – The Department of Environment and Natural Resources (DENR) has ordered Cove Manila to stop their planned “largest balloon drop” event, an attempt to break the world record. 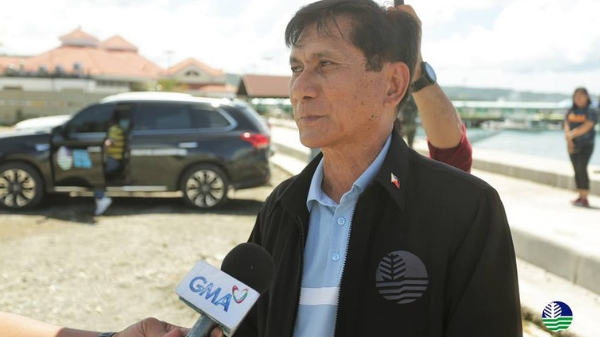 Environment Secretary Roy Cimatu has called the attention of the event organizers of Cove Manila's New Year Eve countdown party emphasizing the immense waste the event will produce. Cove Manila has issued another statement clarifying their stand on the controversial event. 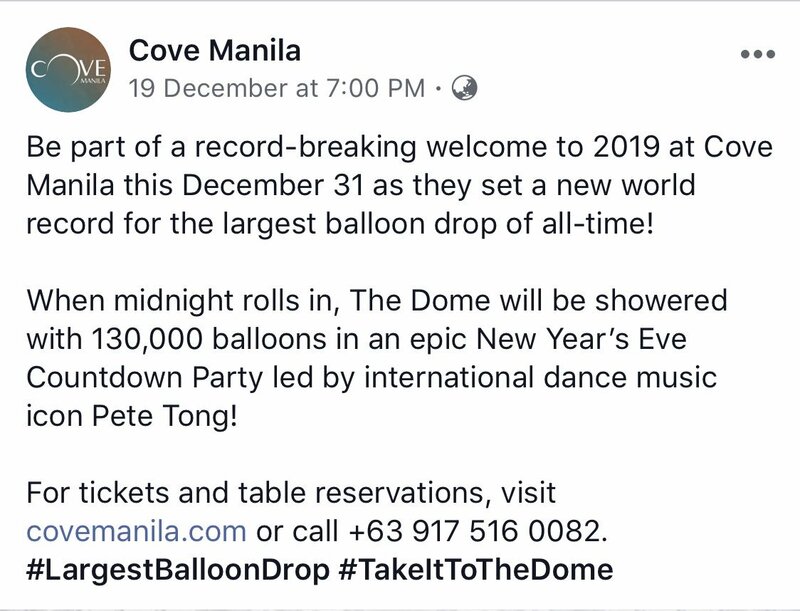 On their Facebook page, Cove Manila stated that they will still push through with their event noting that the balloons used are biodegradable and will degrade over time. They also assured that there will be people to properly handle the waste disposal of the balloons. Lastly, the posh beach club also stated that all the balloons used will be recycled. Antiporda also clarified that there's no such thing as “biodegradable” balloons because it will only turn into microplastic that eventually endangers the wildlife creatures in the sea. UPDATE: After the talk with DENR representatives, Okada Manila decided not to push through the balloon drop event, "the management of Okada Manila has voluntarily decided to cancel the Balloon Drop event as a sign of respect to the DENR’s recommendation and in support of the Government’s campaign to protect and save the environment." MANILA, Philippines - Goodbye 2018 and say hello to the brighter year ahead with the metro's New Year's Eve (NYE) Countdown to 2019 festivities. Countdown to 2019. Image courtesy of SM Mall of Asia Facebook page. Beyond the traditional new year's eve (NYE) celebration are the countdown and special events happening around Metro Manila. On December 31 (Monday), several establishments and places will showcase their grandest welcome to 2019 and the Year of the Earth Pig. Ring in the new year with the best and meaningful celebration — full of fireworks, bountiful banquet, music and loud revelry in epic proportions to usher in the New Year. 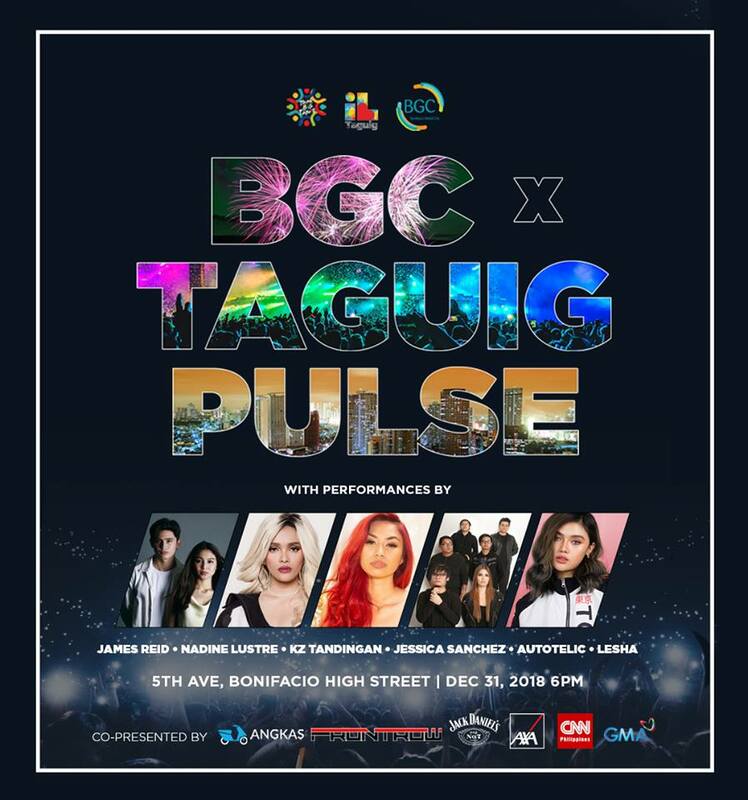 Witness a night of food, music, fireworks and tons of fun at BGC, Taguig Pulse 2019. Catch live performances from James Reid, Nadine Lustre, KZ Tandingan, Jessica Sanchez, Autotelic and Lesha together with Bret Jackson, Sofia Romualdez, Curtismith, Massiah and Astro Kidd! Event is free for all. Party our way to this year’s last hours with special entertainment from December Avenue, Karylle, IV of Spades, Ben & Ben, Moira and Bamboo! Plus, end your year with a bang by witnessing the dazzling Star Drop and Fireworks Display at exactly 12 midnight. Make the New Year's Eve a memorable one with your family and friends! Visit the new attraction at The Garden. 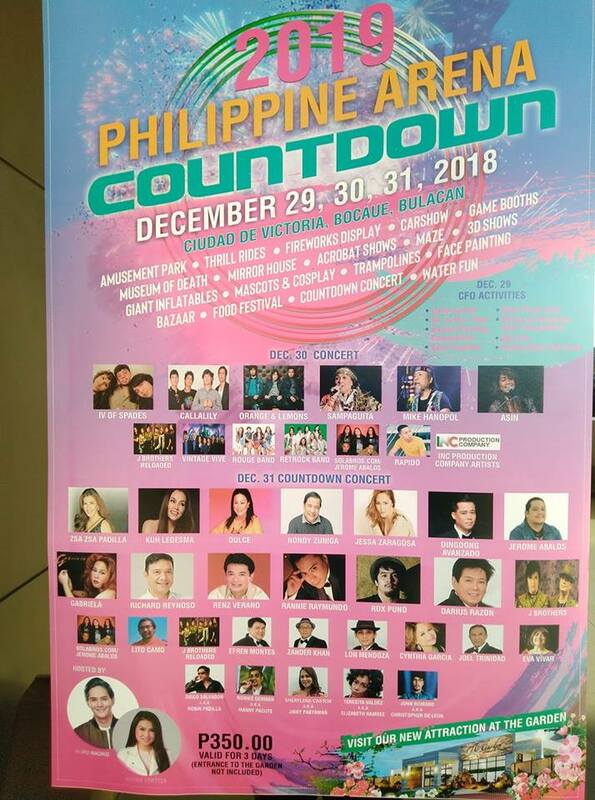 The Philippine Arena Countdown features IV of Spades, Callalily, Orange and Lemons, Vintage Band, Asin, Rouge Band and more! 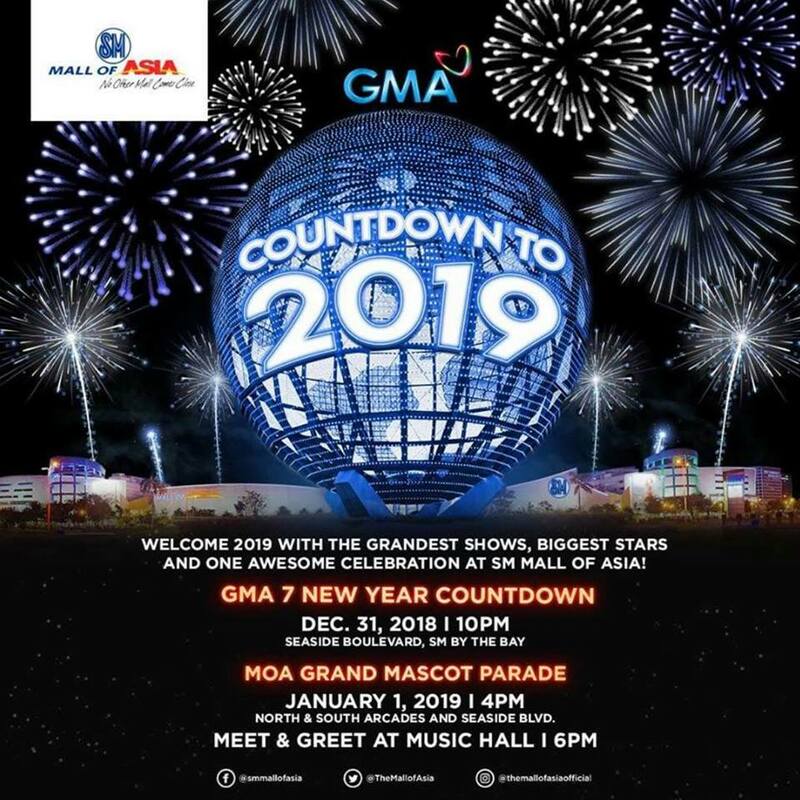 GMA Network welcomes 2019 with its musical-variety themed New Year Countdown special. Watch your favorite Kapuso stars in a night full of music, happiness and festivity as they close 2018 with amazing treats and spectacular performances. The yearend bash is hosted by top GMA stars Kris Bernal, Andrea Torres, Betong Sumaya, Joyce Pring, Arra San Agustin and Pambansang Bae Alden Richards. Don't miss the performances of Asia's Romantic Balladeer Christian Bautista, Asia's Pop Sweetheart Julie Anne San Jose, and Pop Heartthrob Mark Bautista together with other stars Glaiza de Castro, Yasmien Kurdi, Katrina Halili, Rocco Nacino, Derrick Monasterio, Ken Chan, Sanya Lopez, Kyline Alcantara, Thea Tolentino, Jeric Gonzales and Jak Roberto. Welcome the new year with whimsical thrills! Catch the performances of Sarah Geronimo, Ronnie Liang, Sam Concepcion and Randy Santiago. 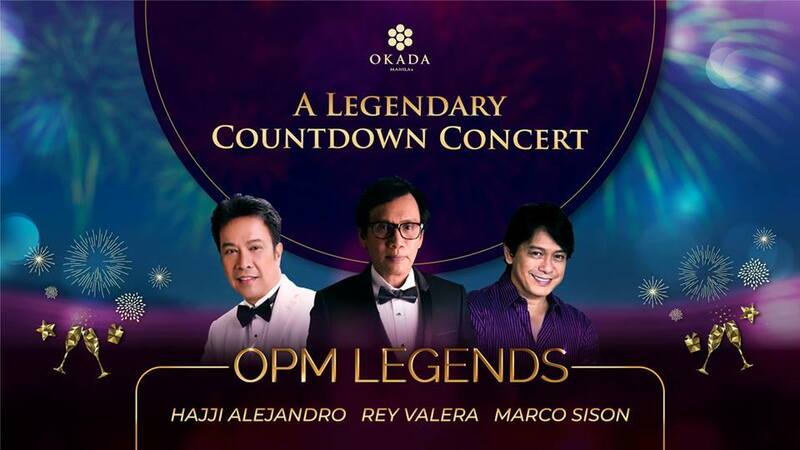 Legendary OPM performers Hajji Alejandro, Rey Valera and Marco Sison will take the stage at the Grand Ballroom for an Okada Manila Legendary Countdown Concert. Bands such as Mayonnaise and guest DJs will keep the night rocking with floor-filling tunes at the Crystal Corridor, The Fountain, and the Coral Lounge! International DJ Pete Tong is set to pump out his hits at Cove Manila. Organizers are also planning to break the world record for the largest balloon drop. UPDATE: After the talk with DENR representatives, Okada Manila decided not to push through the balloon drop event, "the management of Okada Manila has voluntarily decided to cancel the Balloon Drop event as a sign of respect to the DENR’s recommendation and in support of the Government’s campaign to protect and save the environment." 7. City of Dreams Manila: New Year Countdown to 2019 | December 31 at 6:00 p.m.
Raise your glasses and seal the deal at City of Dream's grandest New Year's Eve countdown celebrations at two of its venues – The Garage and CenterPlay. Party at CenterPlay and win big at hourly draws from 9pm to 12mn. Enjoy great food, live music and awesome games at The Garage with entertainment by GTV Unplugged band, Ice Bucket. For inquiries and reservations, call 800 8080. 8. 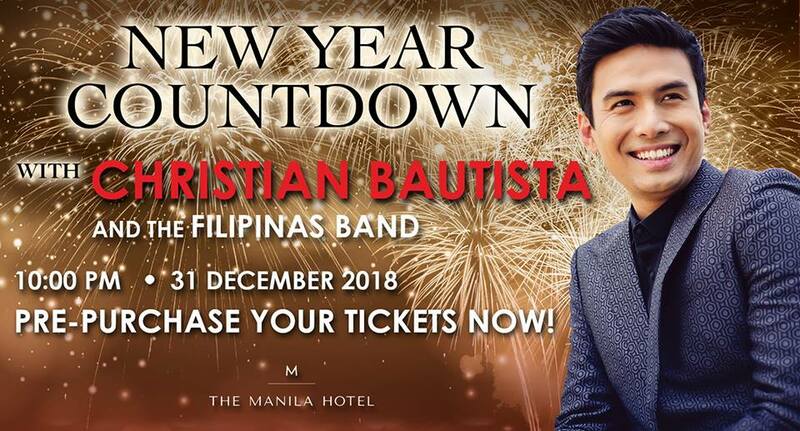 The Manila Hotel's New Year Countdown with Christian Bautista | December 31, 10:00 p.m.
Join in the merrymaking as The Manila Hotel brings you the festive performance of Filipinas Band at 10:00 pm, and a spectacular countdown with Christian Bautista. PHP 1,800 nett per person. There is no entrance fee for in-house guests and guests who dine by Manila Hotel's restaurant outlets on the evening of December 31, 2018, but entrance does not include food and drink. 9. 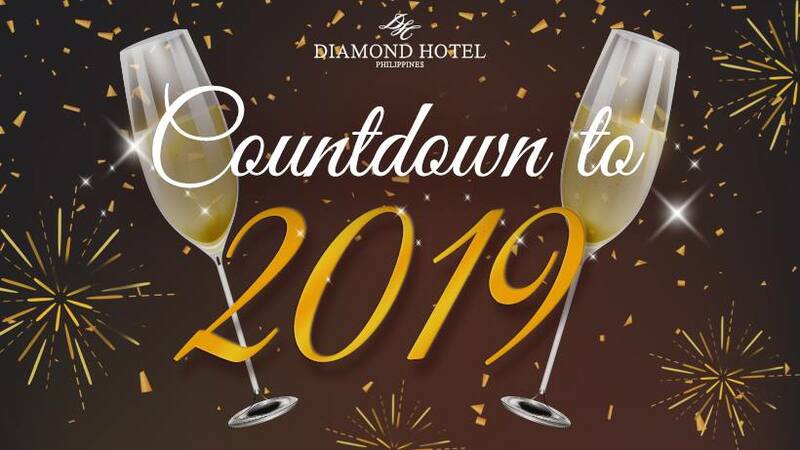 Diamond Hotel Countdown to 2019: New Year's Eve Party | December 31 at 6:00 p.m.
Join the Countdown Party at the Lobby and catch live performances by Streamcast, Zyncxation, and Yellow Lane! Sit down to a meaningful Lunch or Dinner Set Menu with loved ones for Php1,680 nett per person. Or take to the 2nd Floor for a Midnight Pica Pica Buffet for Php980 nett per person from 10 pm to 2 am. Partake of the New Year’s Eve dinner buffet at Corniche at P3,880 nett per person from 6 p.m. to 1:30 a.m.
For reservations and inquiries, contact (632) 528-3000 loc. 1121 or email restaurant_rsv@diamondhotel.com. 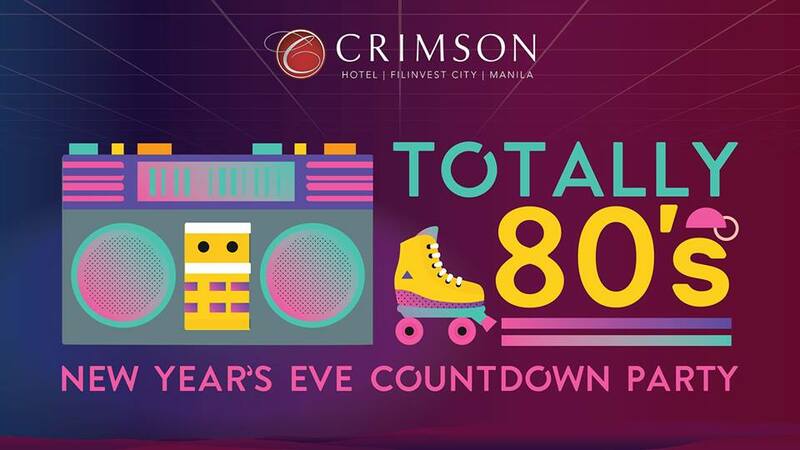 Get ready to be amped as Crimson gives you a spazzing 80’s party to welcome 2019! Dazzle with your glow in the dark oversized shirts, colorful tulle skirts, high-top sneakers or other 80’s fancy dress and channel in your favorite pop icon of the decade. Groove your awesome moves while the Verve Band performs the 80’s mega jams. 11. 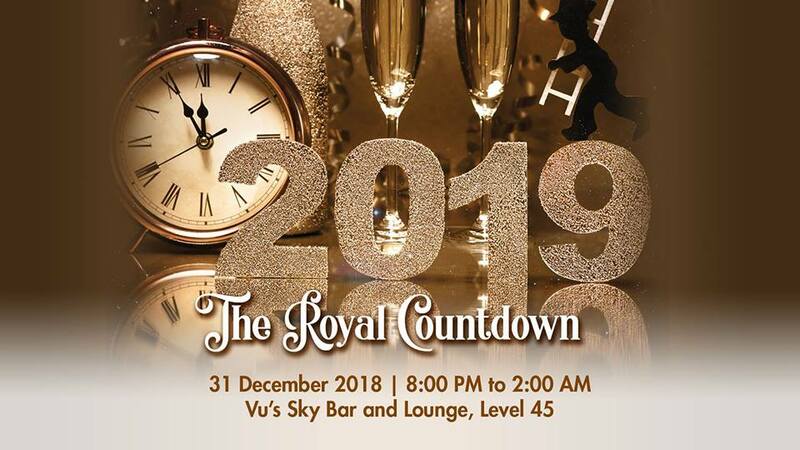 New Year's Eve Party: Countdown to 2019 at Dusit Thani Manila | December 31 at 9:00 p.m. 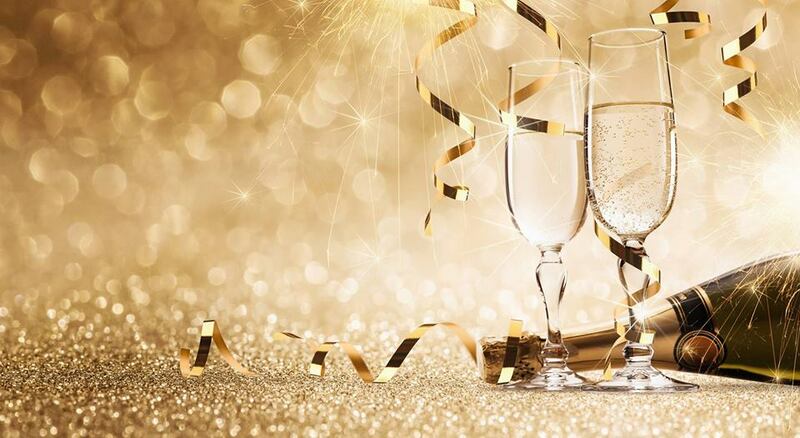 Cheers to a new year and celebrate a fresh start with a grand bash featuring a sumptuous culinary spread, overflowing drinks, and exciting live performances at Dusit Thani Manila. Party in style at the iconic lobby of the hotel from 9:00pm to 2:00am. As you wait for the clock to strike midnight, dance the night away with live music by Sabor Latino and guest DJ until the early hours of 2019. Guests availing of the New Year’s Eve dinner at Benjarong, Umu or The Pantry are entitled to free access to the New Year’s Countdown. Walk-in rates start at PHP1,500 nett per person. For inquiries and reservations, call Restaurant Reservations at 238-8888. 12. 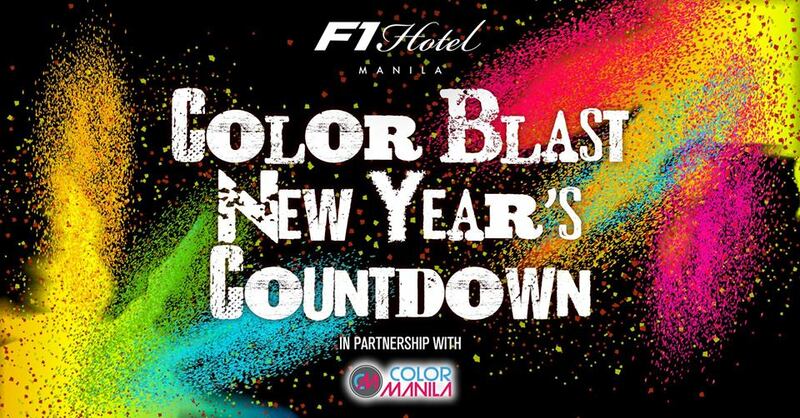 Color Blast New Year's Countdown at F1 Hotel Manila | December 31 at 10:00 p.m.
F1 Hotel Manila in partnership with Color Manila is inviting you to this festivity. The New Year’s Eve party that you shouldn't miss! Enjoy the beats of music with a colorful festivity and unlimited drinks from 10PM to 1AM so you wouldn't have to limit your cheers and gratitude! For tickets and inquiries, please call 908-7888. 13. The Royal Countdown at Marco Polo Ortigas Manila | December 31 at 8:00 p.m. The clock is ticking for a new year! Look through the stunning skyline of the metro, as you raise your glass or teacups to the magical year that was, and fall down deep into a wonderful beginning of a new year. Cover charge at PHP 1,500 per person. Crowd-favourite Real Groove Band takes the stage from 9:30 p, onwards. 14. Enrapture: New Year's Countdown at C Lounge at Conrad Manila | December 31 at 9:00 p.m.
Be entranced by the captivating sensory display that is the New Year's Eve countdown at C Lounge, Witness the myriad of live music and festive drinks with spectacular views of the nearby Manila Bay fireworks. Transcend definitions and kick start the revelry with guest artist Red Picasso, as they take the lead into the new Year from 9 p.m. onwards with a stretch of musical hits from yesterday to today. Patrons are treated to one choice of beverage from a special menu, and also after-party coffee or tea. For inquiries or reservations, please call +63 2 683 3990. 15. Revel and Xylo at The Palace | Bonifacio Global City, Taguig | December 31 at 10:00 p.m. 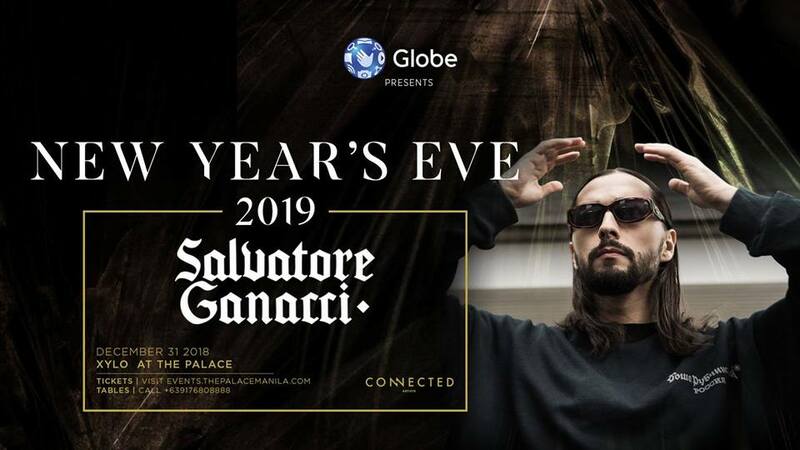 Welcome 2019 with the beats by Manila’s top DJs, and good company at the Revel. For inquiries and reservations, dial 0917-550-8888. Xylo brings you Salvatore Ganacci, aSwedish DJ. He is bound to get the crowd loud with his tracks and equally killer dance moves! 16. New Year Countdown at Makati Shangri-La, Manila | December 31 at 7:00 p.m.
Ring in the New Year with an exciting and exotic carnival-themed New Year Countdown at the Lobby Lounge. Enjoy the electrifying performances by stellar line-up featuring Rachel Alejandro, Escola de Samba de Manila, Eileen Sison and Guaraná, Junji Lerma and The Four Corners, Legato Visual Performing Arts and Maracujá samba drummers. The countdown would be hosted by Nicole Laurel Asensio. To book, contact for restaurant reservations at (632) 814 2580. 17. New Year's Eve Dinner and Countdown Party at Seda BGC | December 31 at 7:00 p.m.
Partake in fabulous buffet, an awesome band and fireworks! Enjoy carveries and barbecue, authentic Italian pizza fresh-from-the-oven, pastas, salads, desserts and more. At midnight, Seda BGC's fireworks will light up the sky to ring in the new year! Tickets at Php5,000 nett. Please go to Straight Up or the front desk for the tickets. 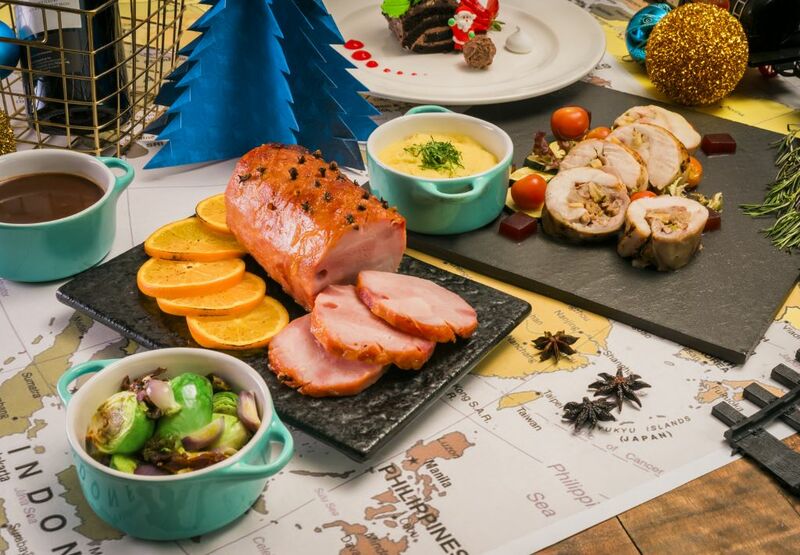 Welcome the New Year with a bayside feast under a blanket of stars with Sunset Bar’s New Year’s Eve Special. Featuring a sumptuous spread of traditional festive dishes, barbecued specialties, free-flowing drinks to toast hello to 2019! Sunset Bar’s New Year’s Eve Special dinner rate is set at Php8,000 per person inclusive of applicable government taxes and service charge. See here for more details. 19. 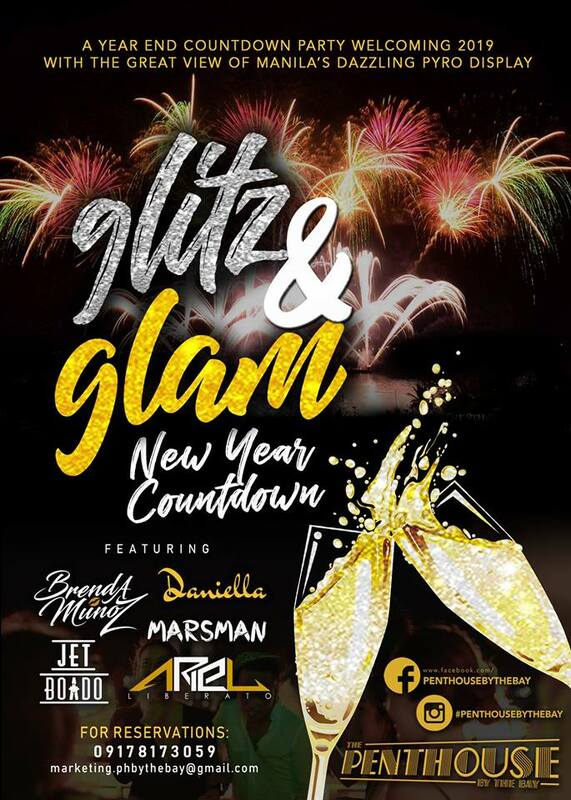 Glitz & Glam New Year Countdown - Penthouse By The Bay | December 31 at 6:00 p.m.
A Year End Countdown Party Welcoming 2019 with the Great View of Manila's Dazzling Pyro Display. For more details, contact at 09178173059. 1. ABS-CBN News’ annual tradition of welcoming the new year with a grand coverage continues with “Salubong 2019,” to be anchored by Adrian Ayalin and Pia Gutierrez on ABS-CBN on Monday (December 31) starting at 11:30 pm. 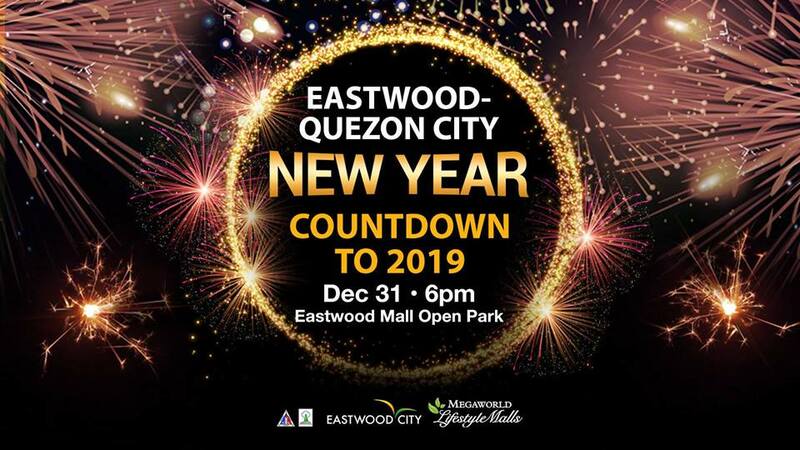 There will be live reports from Resorts World Manila, Eastwood City and other destinations with new year countdowns. 2. Photos and information above are from official Facebook pages and websites of different establishments and places with New Year Countdown to 2019. TheSummitExpress.com compiled the top 19 places and events for the benefit of its readers. 3. 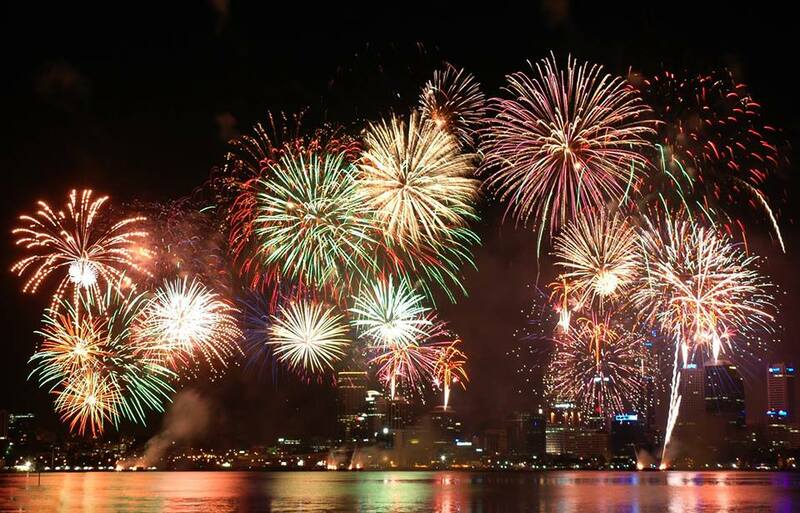 There are no updates yet on local new year countdown in the cities of Makati and Manila. Share now this post if you find this informative. Happy New Year, our dearest Express readers! MANILA, Philippines – The Low Pressure Area (formerly Tropical Depression Usman), tail-end of a Cold Front and Northeast Monsoon (amihan) are affecting the country bringing heavy rains and strong winds, state weather bureau PAGASA announced Sunday, December 30, 2018. At 3:00 am today, the LPA was estimated based on all available data at 240 km Northwest of Zamboanga City, Zamboanga del Sur (8.3 N, 120.4 E). PAGASA weather update December 30, 2018: LPA, Northeast Monsoon and Tail-end of a Cold Front affecting the country. Tail-end of a Cold Front is affecting Southern Luzon. Meanwhile, Northeast Monsoon is affecting Northern and Central Luzon. Palawan and Occidental Mindoro will have cloudy skies with scattered rainshowers and thunderstorms due to the LPA. Visayas will be partly cloudy to cloudy with isolated rainshowers or thunderstorms. Strong winds blowing from the Northeast will prevail over Palawan and Occidental Mindoro, while from the East will prevail over Eastern Visayas, and the coastal waters will be rough. Meanwhile, moderate to strong winds blowing from the East to Southeast will prevail over the rest of Visayas with moderate to rough seas. 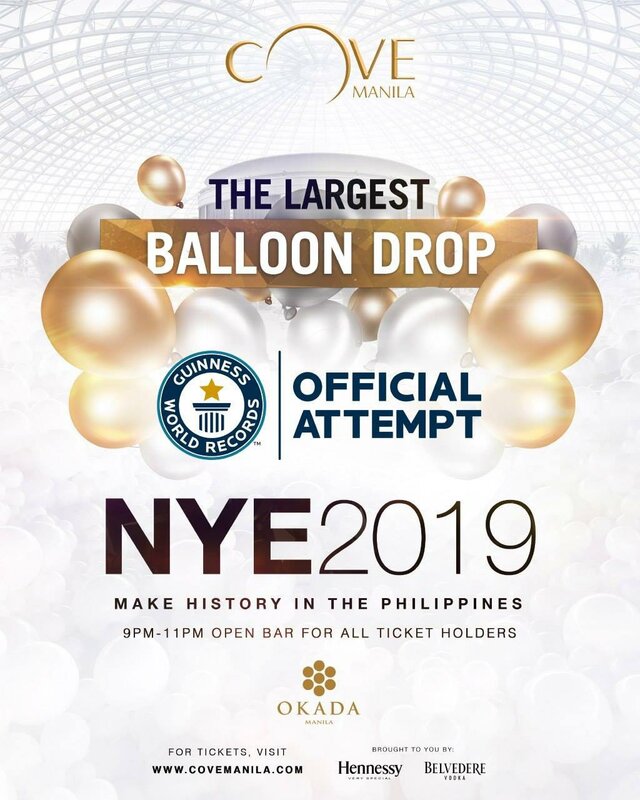 MANILA, Philippines – Netizens and environmental advocates are calling out Cove Manila for their attempt to break the world record for the largest balloon drop. Cove Manila released a statement addressing the concerns, “Rest assured though that the property is consistently following the Local Government Unit’s waste disposal guidelines and we’ll apply the same for our upcoming NYE2019 event." 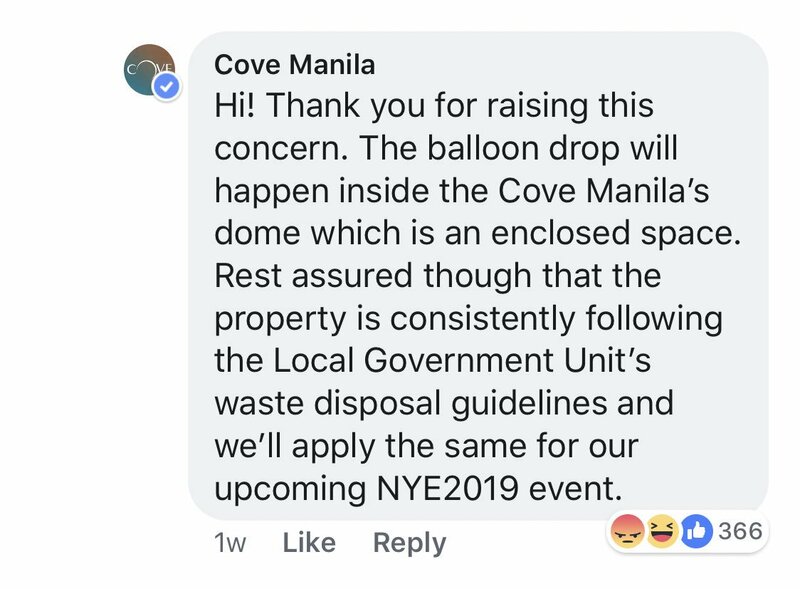 Despite Cove Manila's assurance the balloon drop will be done indoors and that proper waste disposal procedures will be followed, environmentalists are not convinced. Bataris Project, which is hosted by Greenpeace SEA-Philippines has been rallying their online petition to stop Cove Manila's controversial event. The group stated that the event is “unsustainable, wasteful and ecologically apathetic.” They pointed out how the 130,000 rubber balloons will only fill up landfills and destroy ecosystems. Despite following proper waste disposal, the event might only add to the country's growing problem on plastic pollution. The petition urged Cove Manila to try more environment-friendly alternatives such as “plant as remembrance” or use kite or wind spinners instead. Climate Reality Philippines, Greenpeace Philippines, Save Philippine Seas and even local celebrities such as Bela Padilla and Winwyn Marquez have all spoken up against Cove Manila's party. 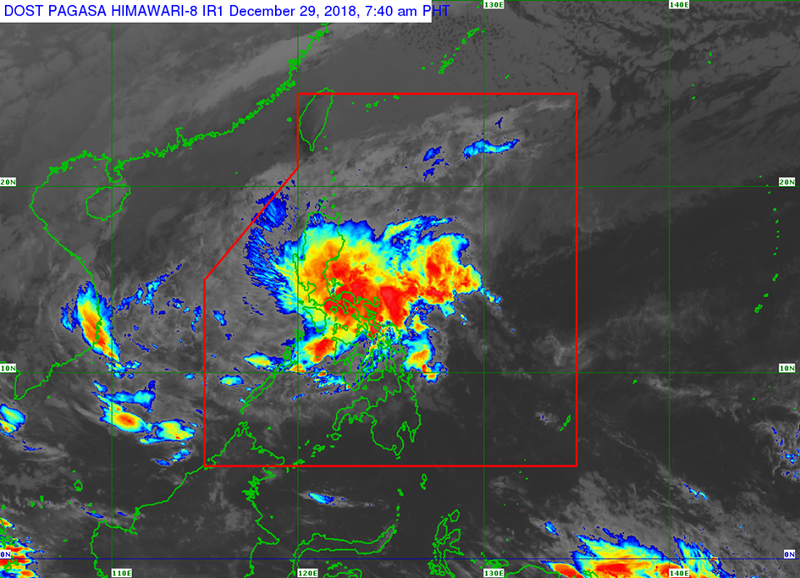 MANILA, Philippines – 'Bagyong Usman' has made landfall in the vicinity of Borongan, Eastern Samar and has weakened into a low pressure area (LPA), state weather bureau PAGASA announced in its 8:00 am update on Saturday, December 29, 2018. Tropical Depression 'Usman' has made landfall over Borongan City, Eastern Samar at 6:00 in the morning today. At 7:00 am Saturday, the center of LPA was estimated based on all available data at in the vicinity of Llorente, Eastern Samar (11.3 °N, 125.4 °E). 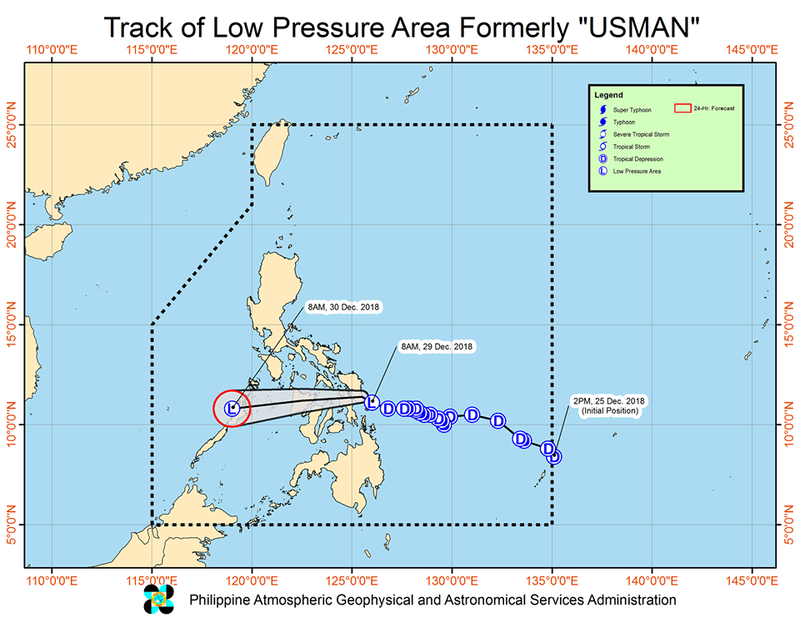 Latest track of Low Pressure Area (LPA), formerly tropical depression Usman. PAGASA has lifted all Tropical Cyclone Warning Signals. Moderate to heavy rains will prevail over CALABARZON, MIMAROPA, Bicol Region and Aurora, while light to moderate with at times heavy rains is expected over Metro Manila the rest of central Luzon and Visayas. Residents of the aforementioned areas, especially those living near river channels and in low-lying and mountainous areas, are advised to take appropriate measures against possible flooding and landslides, coordinate with local disaster risk reduction and management offices, and continue monitoring for updates. The weather central further advised fisherfolks and those with small seacrafts not to venture out over the seaboards of Northern and Central Luzon, the eastern and western seaboards of Southern Luzon and the eastern seaboard of Visayas due to surge of the Northeast Monsoon or hanging amihan. Usman was the country's 21st and final tropical cyclone for this year. The average number of tropical cyclones per year is only 20. MANILA, Philippines – It’s peak season for traveling, with most flights and boat trips fully booked until a few after New Year’s Day. 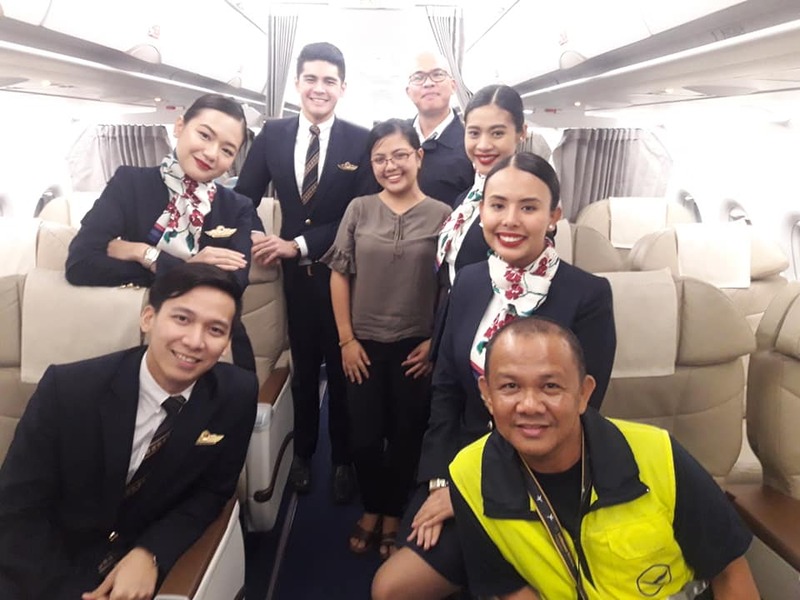 But one woman found herself the only passenger to a ‘special flight’ to Manila on Christmas Eve. 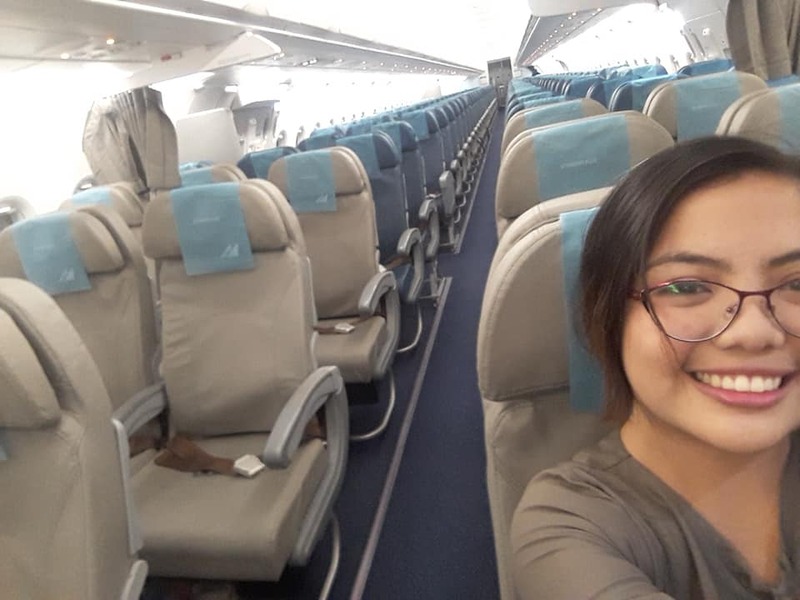 Louisa Erispe posted photos from the trip, sharing her apprehension that she was the only one on the flight. 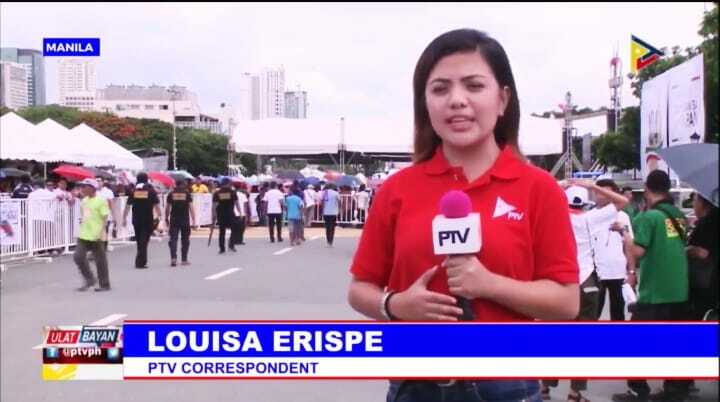 According to Virtual Pinoy, Erispe who’s a new correspondent for People's Television Network (PTV) Philippines, it was the company that booked the flight for the news reporter. 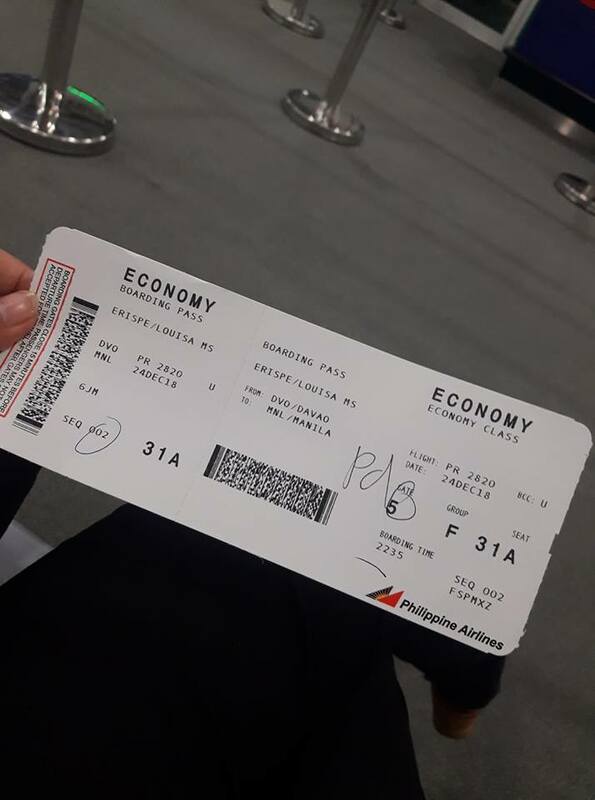 But Philippine Airlines flight PR 2820 from Davao City to Manila had been rescheduled to an earlier time. While the airline managed to reach everyone, they were unable to contact Erispe. When she finally arrived at the airport, the plane had already flown. Since the missed flight was not the passenger’s fault, the airline decided to proceed with the scheduled flight. This made Erispe the only passenger on the flight. 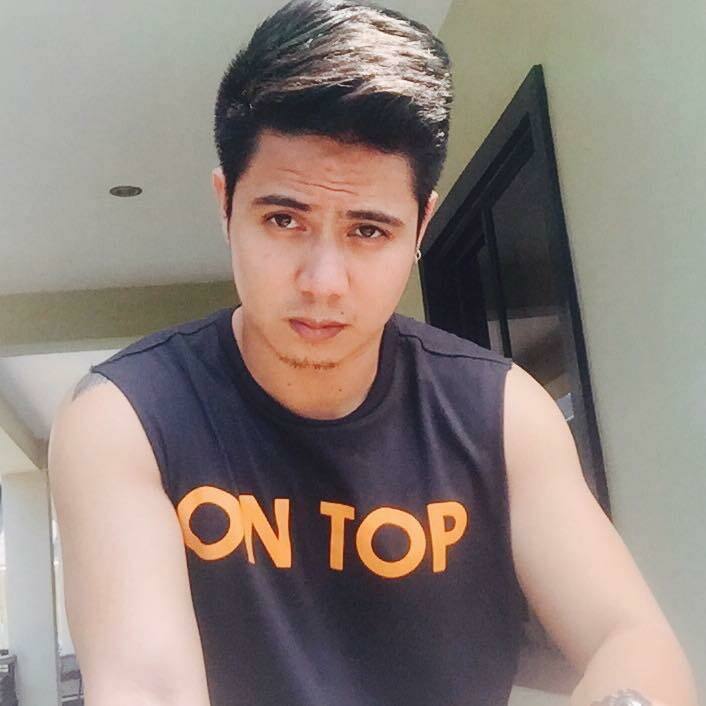 “Hindi ko alam kung anong ibig sabihin or kung ano dapat kong isipin. She was eventually able to relax. She even had fun talking with the crew and taking some photos. “Nakalipad po ako ng maayos and nakapagpalipat lipat ako ng upuan. And just like everyone who’s in a similar situation, she also had a good time moving from seat to seat across the airplane – because there’s really no one else to take up the seats. In another update, she thanked the pilot and the crew for the experience. MANILA, Philippines – It’s Christmas, the season for giving and receiving gifts! And many are wondering what’s the best gift to give their parents this year. One guy didn’t have that problem because he knew exactly what to do. He would soon go viral for his impressive give for his mother and how he let her play the popular ‘Kwarta o Kahon’ game offered in various TV shows in the past. 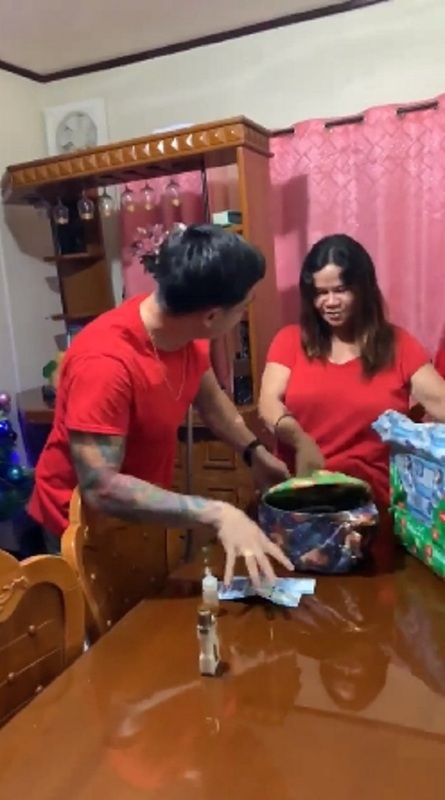 Rotski Bautista shared the video on Facebook, sharing that this was a practical gift for his mother. 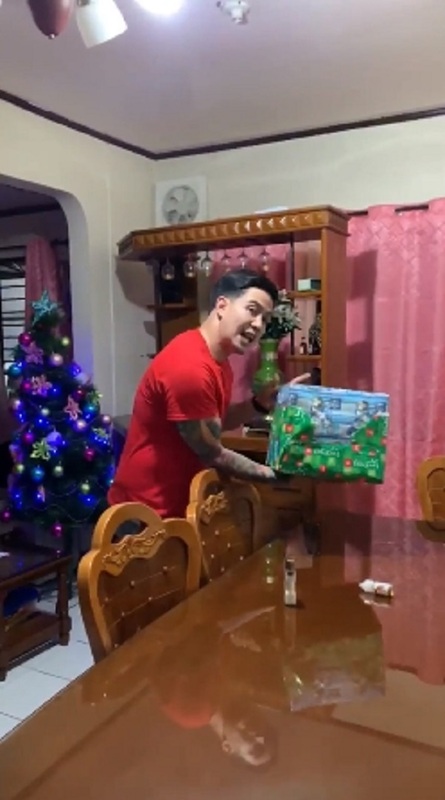 In the video, Rotski acted as the game show host and let his mother choose between ‘sure money’ or the box that contained an unknown surprise. 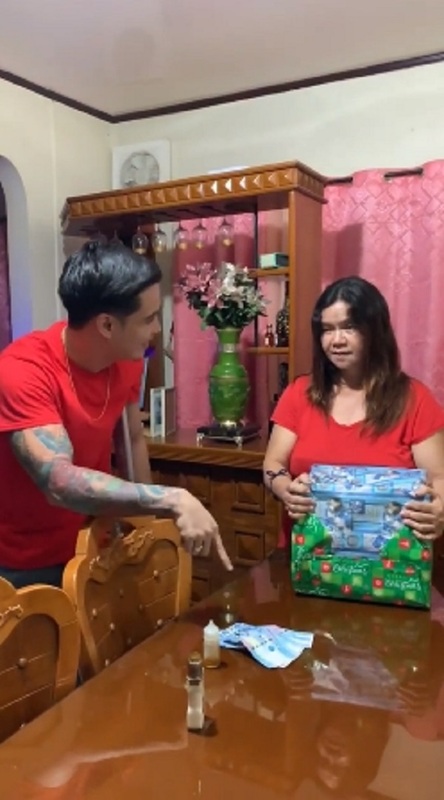 As with the game on the TV show, Rotski enticed his mother to choose the cash, first offering her Php5,000 and later increasing the prize money to Php15,000. 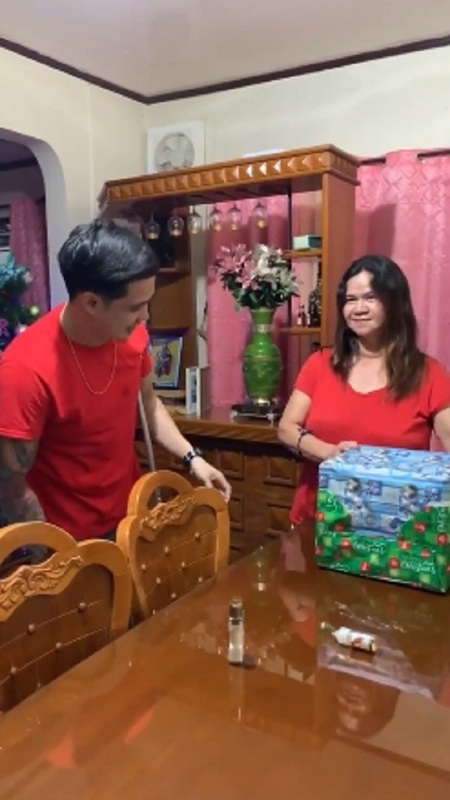 His mom gamely chose the box, knowing that the surprise inside the box would surely be more exciting than the money, no matter what she finds inside. Despite Rotski pretending to encourage her to get the cash instead of the box, she didn’t change her mind. But when it was time to open the box, they had a good laugh because it actually contained a cooking pot! Did Rotski’s mom lose the game? Well, not really because the pot contained a much bigger surprise! Can you guess what’s inside? Though his mother did not pick the money, she found a lot of money inside the cooking pot from the box. The blue money, obviously Php1,000 bills, came in bundles that netizens estimate to be at Php100k each. Since there were around 10 bundles in the pot, then netizens conclude the surprise amounts to at least Php1 million! Wow. Is this the most impressive Christmas gift? Certainly! 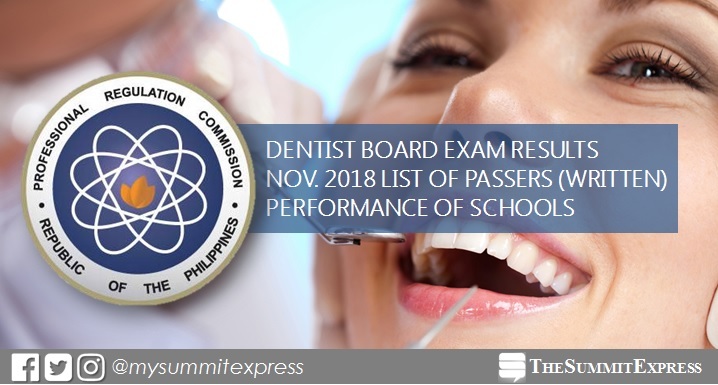 MANILA, Philippines – The December 2018 Dentist board exam results (Practical Phase) including the the complete list of passers, topnotchers (top 10), top performing schools and performance of schools are released by the Professional Regulation Commission (PRC) and the Board of Dentistry today, December 28, 2018 or in two (2) working days after the exam. PRC administered the Practical Phase of Dentist board exam in Manila on December 18, 19, 20, and 21, 2018. Last November, PRC conducted the written phase of licensure exam. UPDATE: 890 out of 1,591 passed the November 2018 Dentist Licensure Examination (Written Phase) and 786 out of 905 passed the Dentist Licensure Examination (Practical Phase). The members of the Board of Dentistry who gave the licensure examination are Dr. Roberto M. Tajonera, Officer-In-Charge; Dr. Rannier F. Reyes, Dr. Melinda L. Garcia, Dr. Gloria M. Bumanlag and Dr. Maria Jona D. Godoy, Members. The performance of schools in the December 2018 Dentist Licensure Examination - Written and Practical Phase in alphabetical order as per R.A. 8981 otherwise known as PRC Modernization Act of 2000 Section 7(m) "To monitor the performance of schools in licensure examinations and publish the results thereof in a newspaper of national circulation" is as follows, view list here. From Janury 14 to 18, registration for the issuance of Professional Identification Card (ID) and Certificate of Registration will be done on-line. Please go to http://online.prc.gov.ph/ and follow instructions for initial registration. Dentist board practical exam covered the following: amalgam exam, fixed partial denture examination, removable partial denture design exam and complete denture with live patient. Based from PRC resolution No. 2017-1068, the target release date of December 2018 Dentist board exam is today, December 28, 2018 or in two (2) working days after the last day of exam. However, results may be released off the target date due to some circumstances. In the May 2018 Dentist board exam, results were announced in just two (2) working days. PRC named 521 who passed the Practical Phase and 509 out of 1,117 who hurdled the written exams. Central Escolar University in Manila alum Claire Aguiba Guerrero topped the board having 85.54%. The Summit Express will update this page immediately once results are out online. You may also visit the official website of PRC for more information.